Sep CBOT corn gained 56 3/4c on the week on ideas that the US crop will ultimately come in lower than the recent USDA figure of 12.288 billion bushels. Results of the recent Pro Farmer crop tour released Friday appear to confirm this. Sep CBOT soybeans closed the week $1.09 1/2 firmer as the US weather outlook turned drier prompting ideas that the USDA Aug 12 crop production estimates may have been overstated. US growers may harvest 2.93 billion bushels of soybeans, 1.4 percent less than the government estimate of 2.973 billion, Pro Farmer said in a statement Friday. Sep CBOT wheat closed 41 1/4c higher on the week on strong world demand for milling quality grain. Nov London feed wheat closed the week where it started it at £125.50/tonne. Quality uncertainties still linger for UK wheat but the longer the harvest drags on the more likely it becomes that a larger percentage of UK wheat will not make milling grade and be only fit for feed. November Paris-based milling wheat closed the week EUR5.25 firmer at EUR194.75/tonne following the lead from the US and ideas that much of the remaining crop still to be cut in northern Europe will only now make feed grade. Nearby Nov rapeseed closed EUR18.30 higher on the week at EUR402.50/tonne supported by crude oil and the rally in soy complex. Significantly larger 2008 supplies in the EU, Canada and the Ukraine may well cap any rallies. 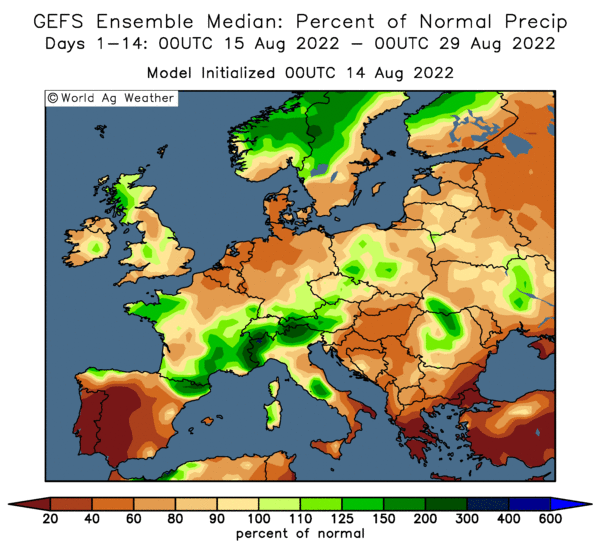 UK farmers seem more interested in cracking on with the harvest than selling at the moment but that could change if we get a decent week weather-wise in the week ahead. Nov corn closed the week with a modest gain of EUR4.25 at EUR179.25/tonne supported by firmer US prices but conscious of increasing EU feed wheat supplies. The pound closed the week with a 1.38 cents drop against the dollar. The pound has now declined for a fifth straight week against the dollar, the longest losing streak since February 2006. Gross domestic product was unchanged from the first quarter, the Office for National Statistics said, compared with a previous estimate for growth of 0.2 percent. The report adds to pressure on the Bank of England to set aside concerns about inflation and cut its benchmark interest rate before the end of the year. Crude oil fell more than USD6 a barrel Friday, dropping the most in percentage terms since December 2004, as the U.S. dollar strengthened and BP Plc restored shipments on a Caspian Sea pipeline through Turkey. Energy futures fell as the rising dollar eased demand for commodities as an inflation hedge. The Baku-Tbilisi-Ceyhan pipeline, which moves oil from Azerbaijan through Georgia to Turkey's Mediterranean coast, resumed normal flows Friday after a fire shut it earlier this month, a Turkish official said. Crude oil for October delivery fell $6.59, or 5.4 percent, to settle at $114.59 a barrel on the New York Mercantile Exchange, the biggest drop on a percentage basis since Dec. 27, 2004. In dollar terms, it was the biggest decline since Jan. 17, 1991, when Allied forces expelled Iraq from Kuwait. Corn futures closed lower Friday as outside markets weighed in on a majority of the grains. December corn fell 11 cents to settle at $6.06 1/2 a bushel. Corn fell early as crude oil retreated from Thursday's highs, the dollar firmed on Friday both are viewed bearishly towards grain commodities. Throughout the Midwest and Corn Belt there are dry pockets developing, corn will need to receive plentiful rains to finish filling ears to the fullest in those areas. Scattered rains are in the forecast in much of the Corn Belt region but rain may be on the light side. Soybeans futures fell victim to pull backs in crude oil futures and lower CBT corn and wheat. Crude oil declined over $6/barrel, marking the largest single day move since 2004. The trade pushed aside private tour estimates of bean production that was marked at 2.93 bbu slightly below USDA's August numbers. Funds were sellers of 2,000 contracts pressuring soybeans, the dollar rebounded from lower levels for the past two day, and both added downward weight to beans. Like corn, beans need at least one last sufficient rain to insure yields aren't damaged by lack of moisture. US beans are competing with cheaper Argentinean beans as they continue to export beans world wide after the several month strike. Sep beans closed -20 at $13.21 Meal +$2.60 at $360.30 Oil -141 at 54.15 cents/lb. Wheat futures closed sharply lower at the close Friday on spillover selling pressure from soybeans and corn. Bearish fundamentals are being ignored for the most part; expectations of a large world crop remain. The US is the world's largest exporter of wheat, a cheaper dollar is aiding stellar exports and especially to Iran who has been a major importer at the start of new marketing year. Canada's wheat crop is said to be almost 27% larger than a year ago. Elevator basis remains extremely wide as there appears to be enough supply nationally. Ukraine has completed harvest and reporting a crop of 26.5 million tonnes, up from 14 MT a year ago. Chicago Board of Trade December wheat fell 31 3/4 cents to $8.90 1/2 per bushel. EU wheat futures closed lower Friday on a combination of weaker crude oil, a stronger US dollar and harvest pressure. Paris November milling wheat fell EUR3.75 to EUR194.75/tonne and London November feed wheat closed GBP1.35 lower at GBP125.50/tonne. 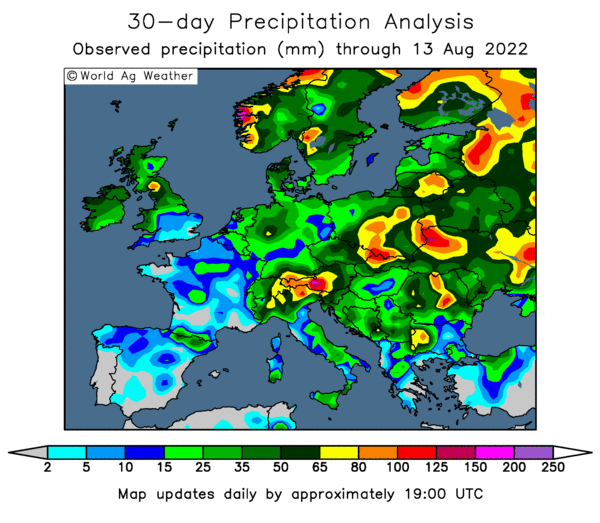 After another wet week in the UK and various parts of northern Europe wheat quality remains an issue and could lead to a mountain of low-quality feed wheat. 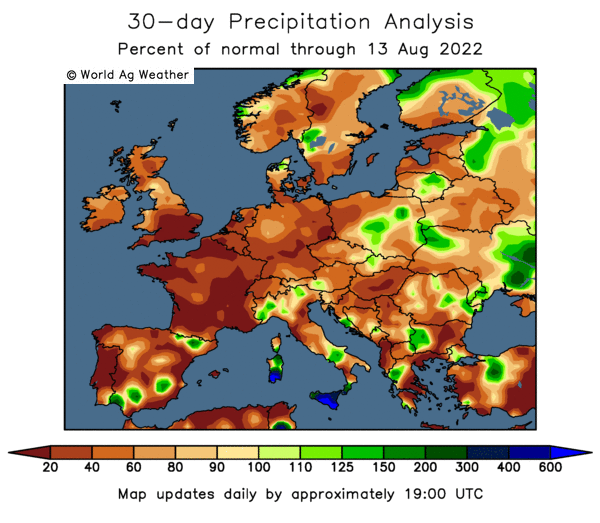 Toepfer report harvest delays in Germany, with about 20% of wheat in the northern part of the country still in the field. 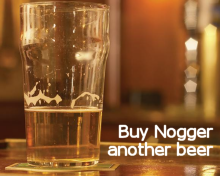 The rain has lowered hagbergs they say. The Ukraine Ministry reported a wheat crop significantly higher than previous estimates Friday at 26.596mmt, of which up to 80% is said to be feed grade. This is almost double the 2007 crop of 14mmt. Already the Ukraine have exported 3.2mmt of grain from this season's new crop, a very significant tonnage considering that they only exported 3.7mmt in the whole of the 2007/08 marketing year. Kazakhstan has thrown it's hat into the world export arena by announcing plans to lift export ban on wheat exports from 1st September. 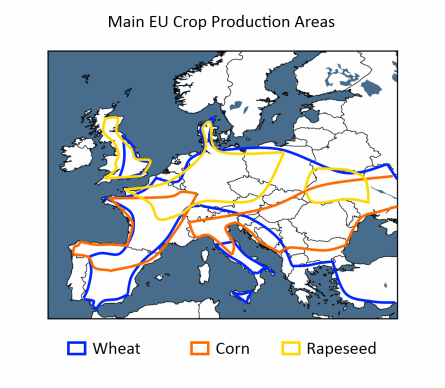 UK feed wheat is going to struggle to find homes on the export front against strong competition from Eastern Europe and the Black Sea and rallys and nearby technical premiums should be viewed as selling opportunities. The recent Pro Farmer crop tour results released Friday pegged the 2008 US corn crop at 12.152 billion bushels with an average yield of 153.3 bushels, and the soybean crop at 2.930 billion with a yield of 39.95 bushels. Both numbers are slightly below the USDA's most recent projections. The U.S. Department of Agriculture estimated US corn production this year at 12.288 billion bushels, with an average yield of 155 bushels/acre, in it's Aug. 12 crop report. The 2008 US soybean crop will be 2.973 billion bushels, the USDA said, with an average yield of 40.5 bushels/acre. Ukraine's 2008 grain harvest stands at almost 43mmt to date at around 96% complete the Agriculture Ministry's press service reported Friday. This is almost 14mmt higher than 2007's 29.3mmt and twice the amount harvested at the same point last year. The total grain harvest to date includes 26.596mmt of wheat they said, substantially higher than earlier estimates for a crop of around 20mmt, and almost double 2007's crop of 14mmt.